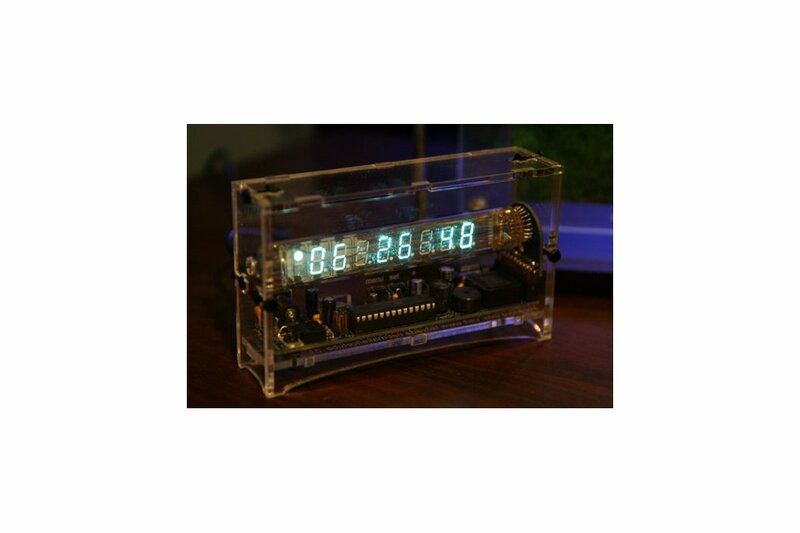 Ice Tube Clock, with the revised hardware and software of the XMas edition. 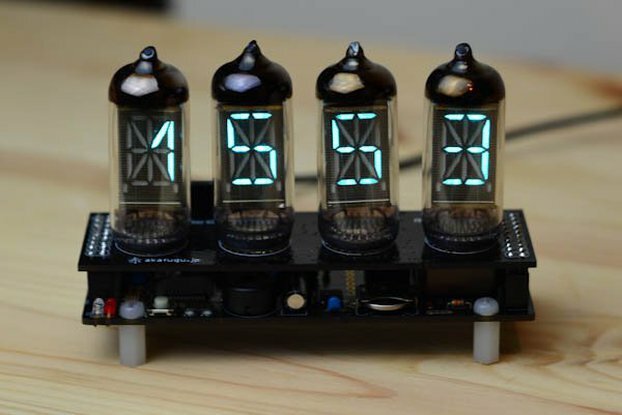 I've built myself three of these Ice Tube Clocks, with the revised hardware and software of the XMas edition. I have one spare now. The kit uses a new IV-18 Sovjet VFD tube, but because of its age, could show small signs of imperfection. Runs at 9VDC, no power supply included. Clear acrylic case, made in Germany. 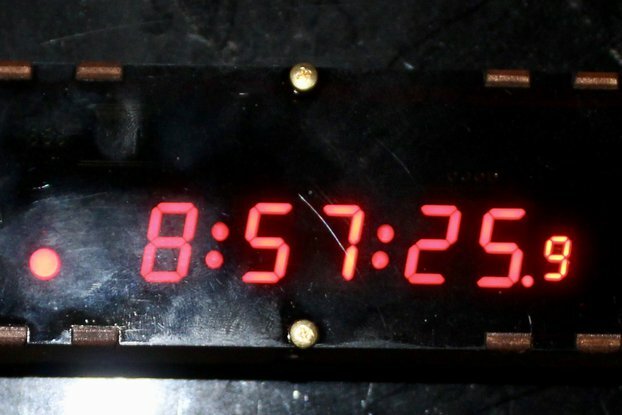 Several years ago, my father gave me an Adafruit Ice Tube Clock kit as a Christmas gift. As an excuse to learn AVR programming, I started playing with the firmware. Eventually, none of the original Adafruit code remained, and the result was a feature-rich reimplementation of the Adafruit firmware. Once the firmware was mature, I decided to revise the hardware design to support many of the hacks and mods described on the Adafruit forums. 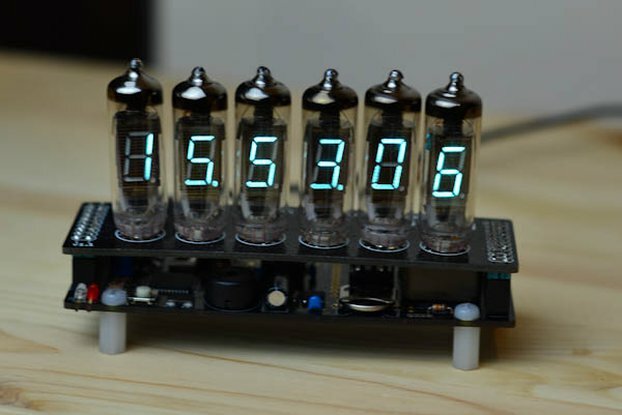 With the help of other clock hackers, especially Phil DeGruy and Russell Walker, the xmas-icetube hardware revision became a reality. Today, the xmas-icetube firmware still runs on the Adafruit Ice Tube Clock v1.1 as well as the xmas-icetube hardware revision. For more information on the firmware and hardware portions of this project, please check out the firmware/README and hardware/README files. Finally, although the xmas-icetube project is named after Christmas, it is designed for use year-round. The name is also a reference to Christmas as a cultural holiday--not a religious one. I sincerely hope this project is compatible with all religions. An external GPS module, such as the Adafruit Ultimate GPS, is necessary to support GPS synchronized timekeeping. ** Without external power, the alarm sounds with loud high frequency beeps. The only way to turn the alarm on or off is with the alarm switch. Snooze is not supported. Disclaimer: I've tested the clock and it works immaculate; I'm a hobbyist, not a professional shop. Sold without warranty.